The purpose of Common Sense For Our Common Good: A Parent Guide To Good Schools is to make you more comfortable and confident in evaluating your child’s school and in enhancing the quality of your child’s education. It is about how you, as a parent, can most effectively support your child and your child’s school. That takes both individual passion and collective commitment. But it also takes some basic knowledge about what a good school, public or private, looks and feels like. Supporting your child and your child’s school is not just the right thing to do but also the most sensible and productive thing to do. Education is a thoughtful and prudent investment in the brilliance and potential in your child and all children… and will reap human and societal benefits both today and into the future. It’s simply common sense. Common sense for our common good. The CSCG Fund-Raiser Program is a perfect way for your organization to provide a valuable resource to your parents while giving your organization the opportunity to raise significant dollars, easily and credibly. 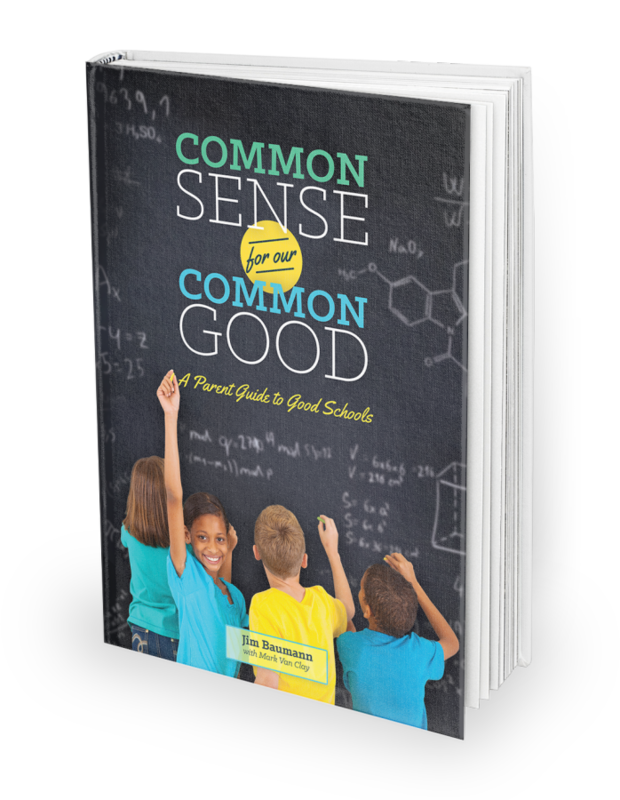 Common Sense For Our Common Good: A Parent Guide To Good Schools is available to your organization’s parents for $14.95 each, and your organization can raise up to $9.00 on every book sold. $7.95 Each - Your organization makes $7.00 per book sold! $6.95 Each - Your organization makes $8.00 per book sold! $5.95 Each - Your organization makes $9.00 per book sold! *All orders will arrive to you within 10 business days of your order confirmation. Shipping charges will apply.